We are constantly matching these happy reunions with our lost and found pages and will continue to play "snap" where we can and update listings on the L & F pages. Don't forget to let us know if you have been reunited with your animals! 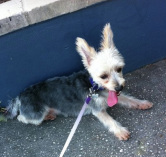 LOST LITTLE DOG :female , very small . From the Hattonvale area, 30 west of Ipswich.. Her name is Lexie she can be shy with people she doesn't know. NOW FOUND - Fantastic result!!! !...Lexie and Owner reunited 14 January 2011. Amanda Beaumont Aggee our family dog has been found safe and well, thank you to everyone for their kind thoughts and assistance! My family have lost everything and having our dog back means the world! 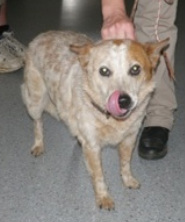 FOUND - male cattle dog in Goodna area earlier today. He's safe and well. Home at Last 15 Jan 2011!!! Lady who looked after her was an angle cause she was alergic to Dogs!!! 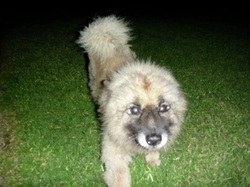 NOW FOUND - Kuta has been found & is safe n sound @home YAY! 15th January 2011! HAS FOUND HIS OWNER- Fantastic result!!! !...reunited 14 January 2011. My old horse Nardia went to a new home in Caboolture in march 2010 and after hearing about the floods in caboolture and how they wanted people there to evacuate i began to get worried. 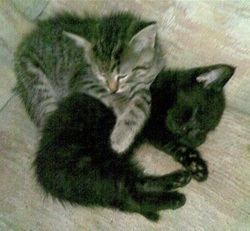 Im wondering if shes still safe and sound there..
Nardia should have been there on the 12th of January 2010. Her names Nardia, she's a purebred Arabian horse. 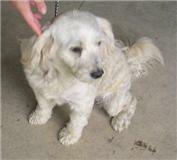 She was located in Caboolture, queensland. Height(for horses); about 14.3 hands. Brand(for horses/livestock); She does have a brand, but i never took notice of what it was. Hi there, i've contacted the people that we're friends with Nardia's new owners. I've called them and said that she's fine, and has been moved to higher grounds. so, thank you for you're help. Foal has been reunited with its mum at last!. toooo cute!!!! NOW FOUND - Fantastic result!!! !...Napoleon and Owner reunited 14 January 2011. Bochhy's parents will only be there until tomorrow when they will move to other temporary accomodation. 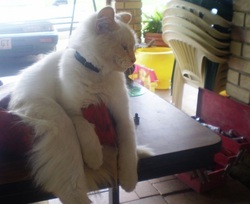 Bocchy jumped out of the window of the Annerley address in the early hours of this morning and has not been seen since. She could be trying to go home to her Archerfield address. Male no collar. dog was found in the middle of the road when intersection on mary and bridge street got hit by rain, BP staff went out & brought it back off road. girl fed & gave him water, & the dog stayed there for about 3 hours, last saw him laying down outside the bakery next to the bp, it's waiting patiently for it's master (Toowoomba) See happily out walking with his owner !! 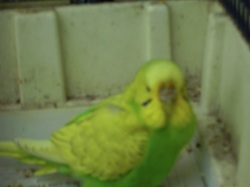 He has been reuinted with his owner 16th january 2011! 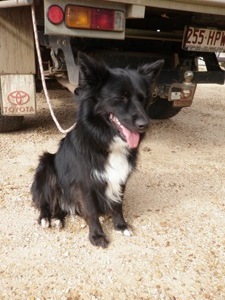 A border collie was found on 2/1/11 dodging traffic on the Mt Lindsay Hwy, North Maclean. 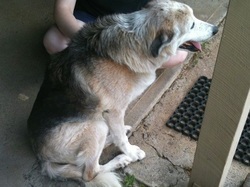 He was a mess and the lady who found him took him home and cleaned him up and he now looks lovely (see pic). 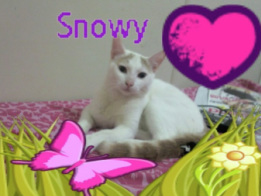 He is an entire male around 2 yrs old, not microchipped, loves females and kids but shy of men. She has advertised him as found on DOL, RSPCA and BC rescue and put posters up around the neighbourhood but has not had any responses. She has dogs already so cannot keep him and is desperate to either find his owner or rehouse him. My son & Family lost everything in the flood at Fernvale yesterday including the dog. 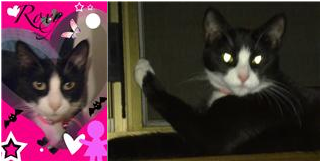 Lost from Fernvale- Schmidt Rd on Tuesday night January12th. Taryn Davis I found a Blenheim coloured cavalier king Charles spaniel named Conrad. He was in mcdowall but suspect he is from flooded suburbs of brisbane. 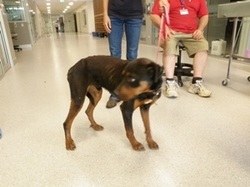 He is registered with council and RSPCA. Just can't reach the owners. Message me on facebook if this is you. Taryn Davis Thanks all. Owner is coming to pick him up. Success!! Thank you to all that kept an eye out. There will be a story on Comet going home on tomorrow nights 9 news. Thanks again everyone, and I hope those still missing thier pets have the same outcome as we did. This Lab was one of the Golden Oldies! 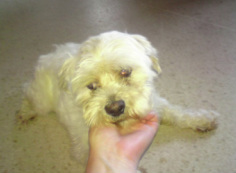 He has been Found, his owner is going to go and pick him up now, 17th January 2011! Owner Has Been Found!! 17th January 2011. MISSING PONY ******* down mawsons road Beerwah Black Quarter 13h Mare pony!!! got out early this morning!! FOUND!! 5 young staffords missing. So please They live in Ravensbourne, they r near Cressbrook & perserverance dams. So anyone who lives near there please keep your eyes open as they are red and brindle dogs. 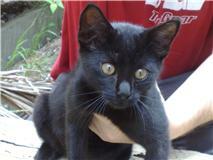 FOUND male desexed chocolate point tonkinese cat thanks. Owners reunited!!!. 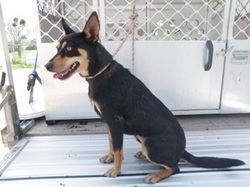 Coorparoo, gladstone st, tan & white, sweet girl, terrier x jack russell..
FOUND : Kelpie / cattle dog cross puppie (under 1 year old) in Bundamba / Ebbw Vale. reunited. FOUND DOG (Brisbane): Jack Russell Terrier, "Toby"
Lake St, Yeronga. Pippin His owner has been found! 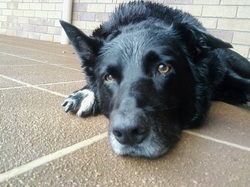 Major -missing Laidley 11th january 2011. Blue cattle dog Brisbane Rd in Goodna, near Links Pet Motel. 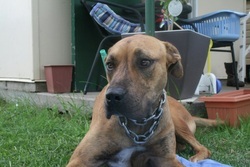 RINGO IS MISSING AND WAS LAST SEEN ON STERN ROAD, CARBROOK, QLD.. 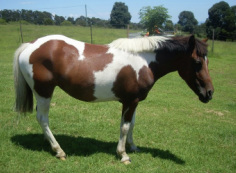 HE IS A 17.2HH APPY GELDING AND HAD BEEN WEARING A GREEN AND WHITE RUG.. HE IS AGOOD EVENTING HORSE. Please help find him onwer is heart broken. 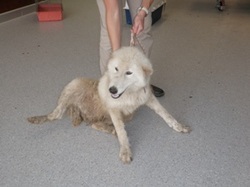 FANTASTIC - Found in swamp and reunited with his over the moon with happiness owner!. Female pomeranian/chow chow (or keeshound) type dog in pullenvale She is friendly, sits on command, and makes a grumbling noise in her throat. We are looking after her for the time being, but are trying to find her owners. now knowing shes alive and well my family made a tough decision. we dont have a house at the moment and the family that found her and took her in fell in love with her. 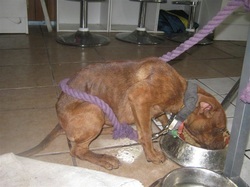 they wanted to keep her and we knew that she would be loved and cared f...or there. so we gave shadow to the family that found her. shes going to be much loved and looked after. thank you to everyone to help us find her. our minds at ease now knowing shes ok.
Oscar . Inala area. No collar or micro chip and is a very small dog. Stephanie Nguyen Thank you everyone we are now reunited with Oscar we just pick him up just now and is over the moon with happiness. I will pray for every other lost pets to be united soon. As we are truly grateful to have him back in our life. 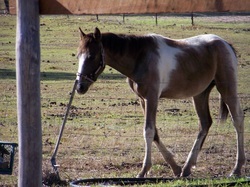 Jack is around 24years, bay gelding, SB, branded under mane and on shoulder, very faded brands tho. 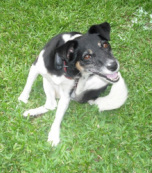 My dog Molly has been since Thursday night 13th January from Bundamba. We are sick with worry and just want to find her. She is very friendly and placid dog, myself and my 2 young children had to go and stay elsewhere due to no power for 5 nights but my husband still stayed at home at night, she mightve been a bit stressed about the changes. 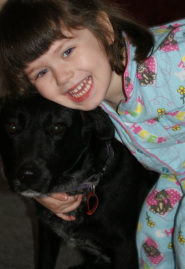 Reunited - Carolyn wrote that Molly was found 30km away!. tuffy and bubba the 2 american bulldogs have been found and in good health. Danielle Does anyone know who is missing a Cattle Dog in the Brassall / Ipswich Area? It turned up at my sisters house near Sutton Park and the registered owners (according to the micro chip) are Sean & Brianna Kissick. Let me know. Reunited - very happy owner!!!. Does anyone know this dog? 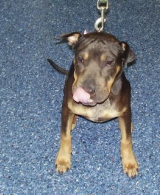 It was found in the floods in rocklea... area (on 16th Jan) and has no collar, name tage, microchip etc. Reunited with her elderly owner. The bird had escaped a week before the floods and had flown from shorncliffe so had been out for a week after I found her, the birds name is Honey. The owner was in tears of joy!!!! we lost our Himalayan Red Point entire male possilbly in the Bluegum or Redgum Drive or Crowash Court area Lowood. We had to let him out of his cat enclosure because it was filling with water and he got away by slipping his harness being so scared of the floods heading towards our home. His wife and family is missing him dearly......Reunited "I have found our boy he came home dirty, wet, cold, so he had a bath, warm food and bed - he is oK - he is my breeding tom.............. ". we found this dog coming out of th bush in Draper QLD she is very skinny and is a bown/red coloured full kelpie - stunning upstuck ears and very friendly if she is yours please contact us or check out the found animals on the RSPCA site. X-bred male dachshund-corgi has been missing for almost 24hrs. He's black & tan, with white. 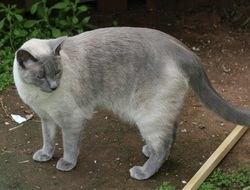 Long torso, pointy ears, full tail, short haired, he's 12 years. 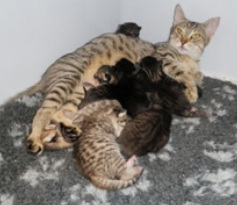 Tabby cat desexed with rspca tag, only young found in st lucia. currently at Uni vet clinic at st lucia. 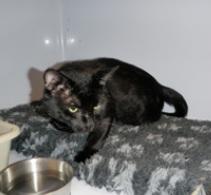 This cat is microchipped but cannot get though to owners mobile. 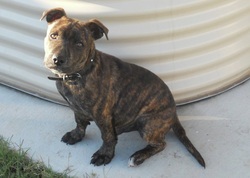 FOUND DOG - FEMALE STAFFORDSHIRE BULL TERRIER - JIMBOOMBA AREA - 18.01.11. Please contact Emilly on 0422 065 213 or Karen on 5547 8012. Thank you to the wonderful family who is going pick up Chloe and look after her until Sunday, where she will be off to Adelaide! PR assisted the owner to find temporary foster care and a solution to their distance dillema..
Sharpai X Kelpie found at Boondall wearing a pink collar. 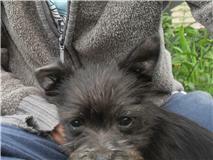 Adopted by his foster carers - Great news!. staffy dark brown, white patch under chest. REUNITED and back home with his owner - thanks for the service you are providing. it is great to have one where you do not have to sign up and all this other rubbish. it shouldnt be that hard to advertise a found dog etc. Found Little Filly 3days ago.. Walked into my property.. Lockler Valley area.. Plzzzz Inbox me if you know who owns her or info to if she belongs to you.. Cheers Sue Vendettaa Owner is overjoyed and so relieved !! King Charles Spaniel, brown and white....I was found after the floods on the Sunshine Coast near Glenview in Queensland AttitudeGoddess Lea Gay Little Charlie is back with he's mommy! I feel so releived and happy. Went missing last Wednesday in Postman's ridge. FOUND - Jack Russel - Young friendly male jack russell in Logan Village Pine Forrest on 18/1. Please contact me if yours is missing. Kelly Mullholand We found a sign advertising the lost dog. He is home now thanks. Cheeky little fella flew into a restaurant and had a meal with a nice man who took him to the vet and he has been reunited with Alice. 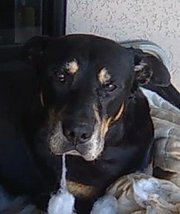 I have lost my dog Lucky in Townsville (north shore area) male black and tan lost 03/02/11 email zonabaker@hotmail.com or phone number 0406083433 He's home now so happy!!! Looked so sad ! !- but has his doggy grin back now !! Talei Damian FOUND - Female HUSKY on the Ring Rd Alignment - Please contact me 0458283567 - if you know of anyone that has lost a female HUSKY - please pass on message. 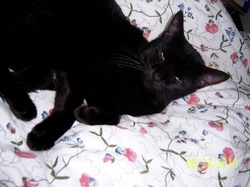 Lost Cat "Pebbles" on 17 Jan 2011. Pebbles was evacuated with our family when our property flooded and escaped from our temporary home in Jindalee. She is microchipped but does not have a collar and would be very scared and timid. If you have seen her, or are caring for her, please contact us urgently on 0407 119 417. Much loved pet. Just wanted to let you know she was found and taken to the vet and we were contacted through her microchip she is well and happy to be home nearly 2 months after she went missing!. We are all very happy to have her home.